To support the national infrastructure required to scale the community-led housing sector. 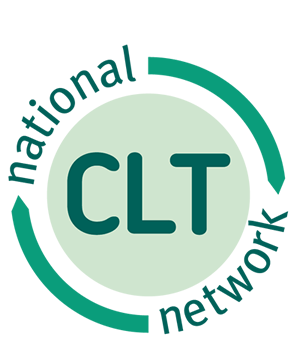 Three national membership bodies – the National Community Land Trust Network (NCLTN), the Confederation of Cooperative Housing and the UK Cohousing Network – are working together to deliver this project. Each membership body is responsible for delivering a strand of work. The first strand addresses the shortage of people with the range of skills needed to advise groups and at the same time seeks to professionalise the sector. This is beginning as a sector-validated quality mark, with a longer term aim to develop a more formal accreditation programme for enablers and community-led housing advisers. The second strand is establishing and facilitating local enabling infrastructure support services, which is being piloted before being rolled out over a two-year period. This will establish local enabling infrastructure support in places where it is not yet available, as well as the expanding existing local enabling infrastructure support to be available for all forms of community-led housing. The third strand is creating a new web-based interactive platform, supported by a telephone and web chat information line, providing a one-stop-shop for community-led housing information and resources. This new website went live in November 2018: www.communityledhomes.org.uk. The website has three main functions: an entry point where individuals, potential groups and other stakeholders can find out what community-led housing is; a definitive database of the groups and schemes; and a library of resources. NCLTN has also received funding from Power to Change for this project.